WHOA! Rogue Anti-Trump TX Elector Said He Was Hero Firefighter at 9-11 Attacks -- HE WASN'T, IT WAS A LIE! Chris Suprun is one of 38 Texas electors. He recently went public with his decision to go against the will of the people of Texas; he will not be honoring his pledge to vote for President Elect, Donald Trump. 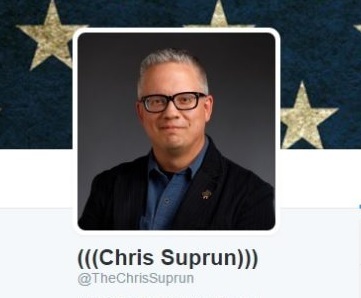 Chris Suprun has taken quite a beating on social media by Americans who are outraged at his decision to go rogue. There was even a petition started to have him removed and replaced. Eyebrows were raised and suspicions grew over what Mr. Suprun’s intentions really are after he penned an op-ed in the New York Times over his decision to be a ‘faithless elector’. Shockingly, his Twitter bio directs media inquiries to P.R. firm, Megaphone Strategies. This P.R. firm represents radical left wing organizations like Black Lives Matter and even reps CNN’s ultra left wing radical, Van Jones. For years Chris Suprun has passed himself off as a 9-11 hero first responder. He has even thrown the first pitch out at local ballparks. Now it looks like that was all a lie. He didn’t become a firefighter until OCTOBER 2001. The Republican elector who has gotten national attention for refusing to vote for Donald Trump at the Electoral College on Dec. 19 was apparently not a first responder on September 11, 2001 as he has stated for years and has a questionable career history, according to an investigation by WFAA. Chris Suprun, 42, portrays himself as a heroic firefighter who was among the first on the scene after the third plane flew into the Pentagon on 9/11. He has founded a nonprofit called Never Forget and state records show he is a licensed paramedic — but much of the rest of résumé, publicly available on LinkedIn, is questionable. In addition, on at least two occasions over the last couple years at crowded Major League Baseball games, Suprun has been introduced as a 9/11 veteran before throwing out first pitches. “He claimed to be a first responder with the Manassas Park [Virginia] Fire Department on September 11, 2001 and personally told us stories ‘I was fighting fire that day at the Pentagon.’ No, I was on a medic unit that day at the Pentagon and you make a phone call to Manassas Park and you find out that he wasn’t even employed there until October 2001,” said a first responder who knows Suprun and only agreed to speak about him if his identity was concealed. The City of Manassas Park confirmed to WFAA that it hired Suprun on October 10, 2001, one month after the 9/11 attacks. More on Chris Suprun here.